This entry was posted in Uncategorized on December 31, 2016 by Gary. The reversal this morning in metals despite the weaker dollar was enough of a red flag for us to take profits on our metal positions and wait to see what the new year brings. This entry was posted in Uncategorized on December 30, 2016 by Gary. The leveraged metal portfolio is already back over +100%. Before this intermediate rally is over I expect the leveraged portfolio will be up somewhere between 400-1000%. How stupid are all the naysayers starting to look now? 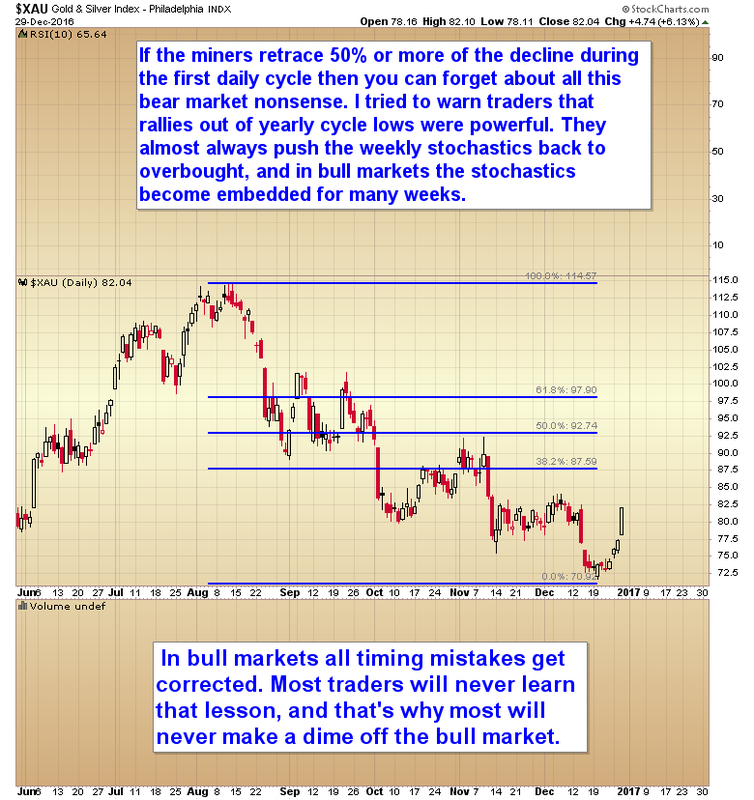 In bull markets all timing mistakes get corrected. Yes we got sidetracked by the middle of the night reversal on election night. 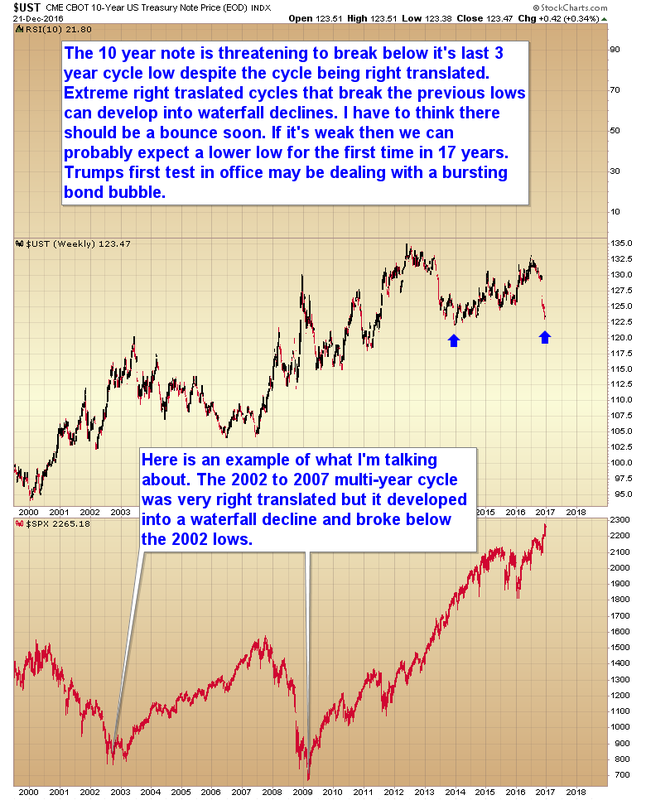 The powers that be acted to prevent the stock market from opening limit down and it infected the gold market, causing the intermediate cycle to stretch an extra 10 weeks, but it hasn’t stopped the bull market, and it isn’t going to stop us from making money. This entry was posted in Uncategorized on December 29, 2016 by Gary. This entry was posted in Uncategorized on December 28, 2016 by Gary. Despite what many of the trolls would like everyone to believe the metal portfolio is still up 50%. I don’t know anyone who would be unhappy with a 50% gain. Sure it’s not as good as +127% but still +50% isn’t anything to sneeze at. We got stopped out when gold lost $1275 right after the election. Now I’m trying to get in at the bottom of this yearly cycle low. We’ve made a couple of tries, but gotten stopped out at basically break even twice now as this daily cycle is stretching longer than normal. I’m waiting for the next potential setup to try again. It may come this week. Sentiment is extreme. This entry was posted in Uncategorized on December 26, 2016 by Gary. 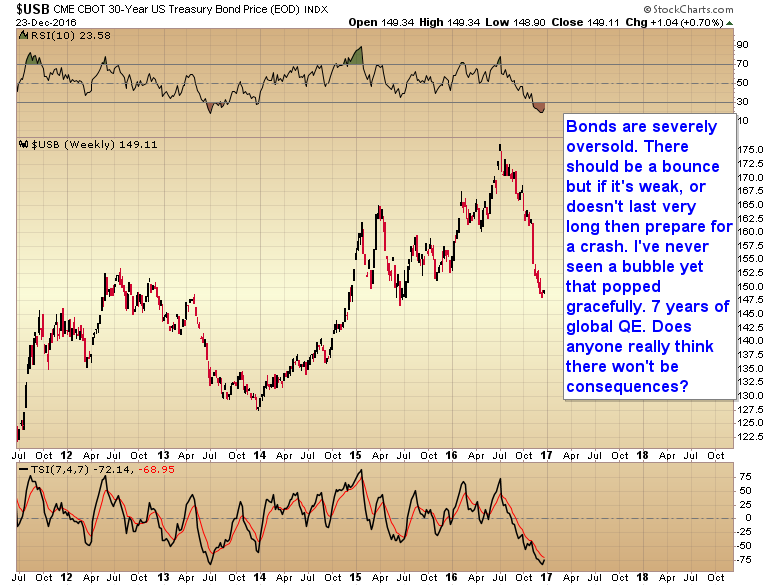 Bonds are severely oversold. 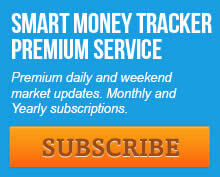 There should be a bounce but if it’s weak, or doesn’t last very long then prepare for a crash. I’ve never seen a bubble yet that popped gracefully. 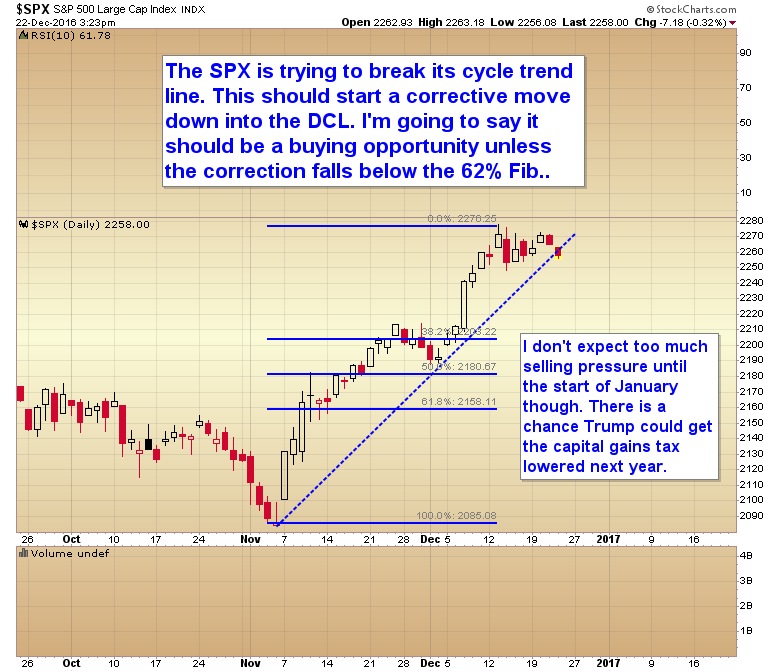 The S&P 500 is trying to break its cycle trend line. 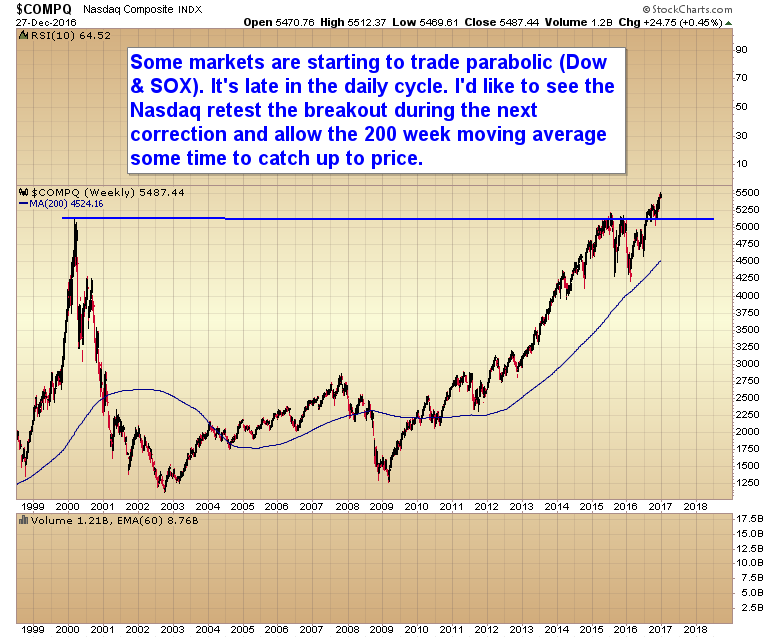 This should start a corrective move down into the daily cycle low. This entry was posted in Uncategorized on December 22, 2016 by Gary. The 10 Year Note is threatening to break below its last 3 year cycle low despite the cycle being right translated. Trump’s first test in office may be dealing with a bursting bond bubble.